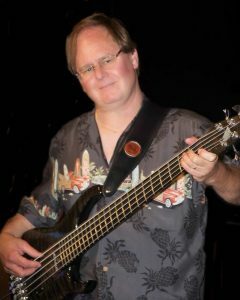 JIM SOLBERG grew up in a musical family and started playing the bass at age 12. His 1st gig was with his Dad’s band playing Lawrence Welk style music for the senior citizens at the community center. He began his professional musical career in highschool. On weekends, Jim played dance music at local Elks clubs with the highschool music teacher’s group. Jim also played an active part in highschool functions like proms and dances. In 1973 he studied music at Columbia Basin College in Pasco, Washington. In 1974 he moved from Richland, Washington to San Diego, California to play in a funky horn band called Power Potion. 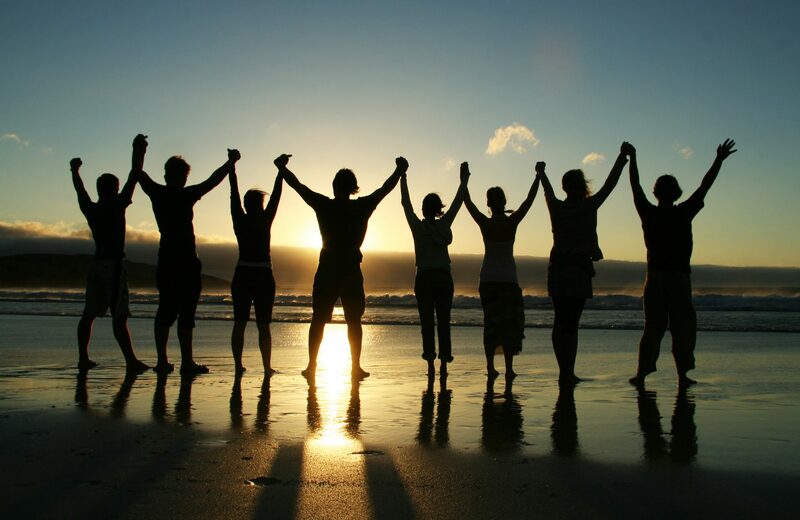 That band traveled extensively throughout Canada and the Pacific Northwest. Jim re-located to Portland, Oregon in 1976. Since then he has played and recorded many styles of music from Jazz and Funk, to Rock, Country and Latin styles. Jim has been a fixture on the Portland Blues scene; 6 years with The Lloyd Jones Struggle and 6 years with The Jim Mesi Band. When on the road with Lloyd Jones in 1992, the band opened in concert for BB King, Bonnie Raitt and Robert Cray. While playing with Jim Mesi in 1997 & 1998 the band was hired by the Department of Defense to perform for U.S. and NATO troops overseas. The Jim Mesi Band did two 8-week tours and visited Iceland, England, Germany, Hungary, Bosnia, Macedonia, Begium, Holland and Norway. Needless to say, the band was very well recieved while in Europe. It was an honor to bring a little taste of home to many soldiers there. 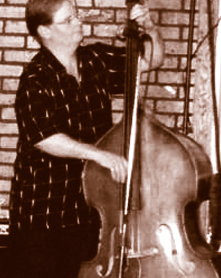 Jim played for 12 years with a very popular 8-piece show band called The Swingline Cubs. That band performed for corporate parties and wedding receptions. During the summer months, it was not unusual to hear them play concerts in the park as well. In 2008, the Swingline Cubs was the only band from Oregon mentioned in Modern Bride Magazine as the best of the best. In the summer of 2008, Jim took a job with the Evergreen School district in Vancouver, Washington driving school bus. He currently transports children of all ages with special needs. Jim enjoys playing in church and is a member of the Portland Center for Spiritual Living. He plays an active part in the music program there with “The Friends Band.” From 2011 until 2014 Jim played Gospel Blues music in a band with Rae Gordon at the Trails End Saloon in Oregon City. The band would play the first Sunday of every month from 3 to 5 in the afternoon. Rae Gordon; a wonderful singer and performer, attracted an impressive audience month after month. Currently, Jim freelances musically and gets called to play locally with many bands. Lately he has been seen at several nightclubs in the Portland area with The Ken Brewer Band, Nico Wind and Free Rein and another band called Francine West and the Highball Wobblers.